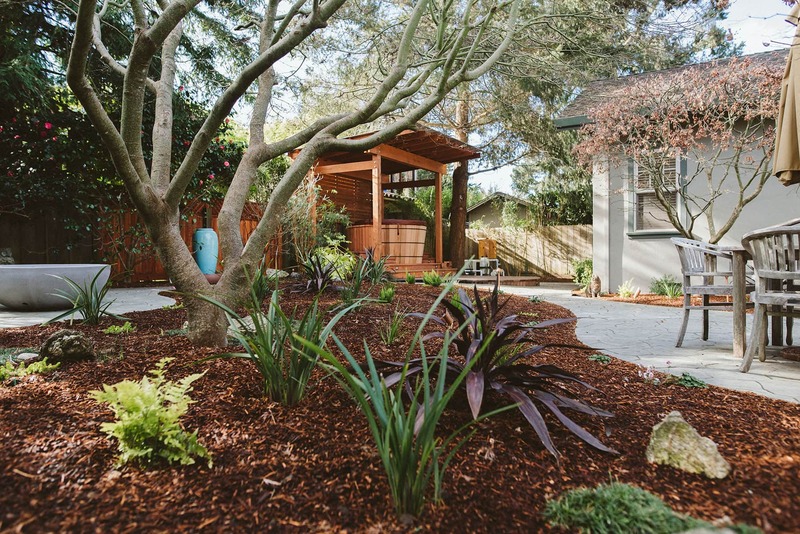 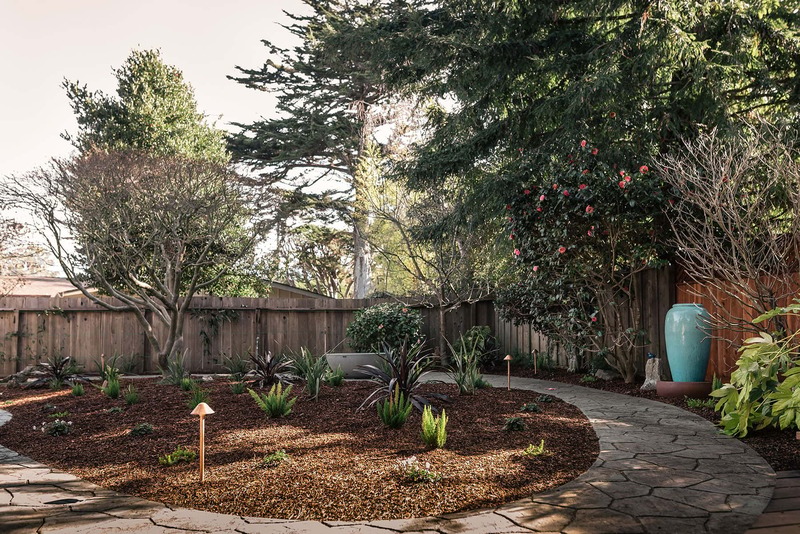 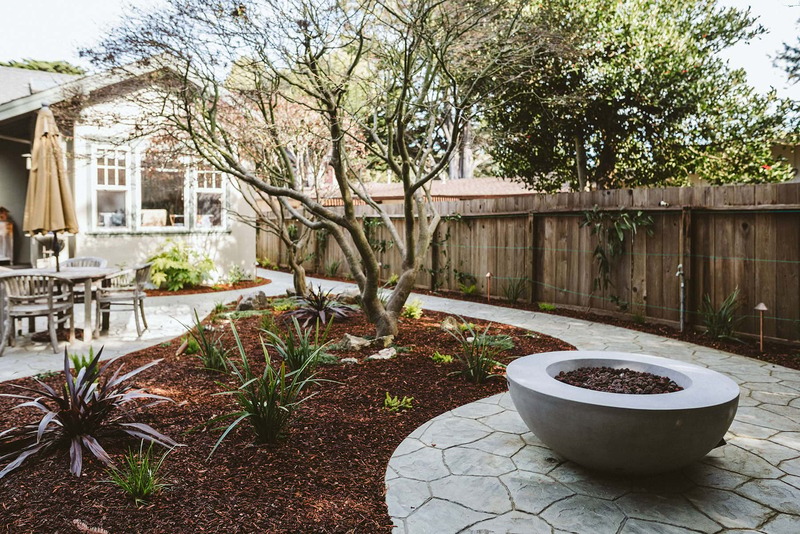 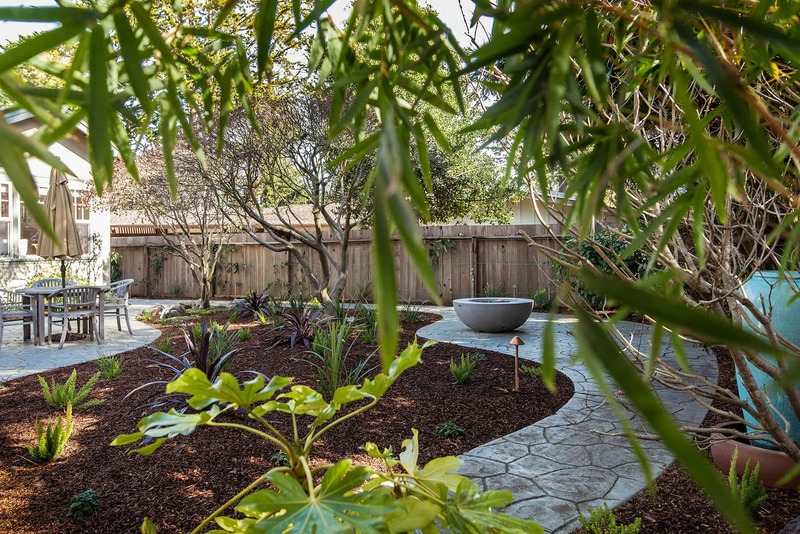 This project is located in the dreamy hills of Aptos surrounded by tall trees and beautiful natural landscapes. 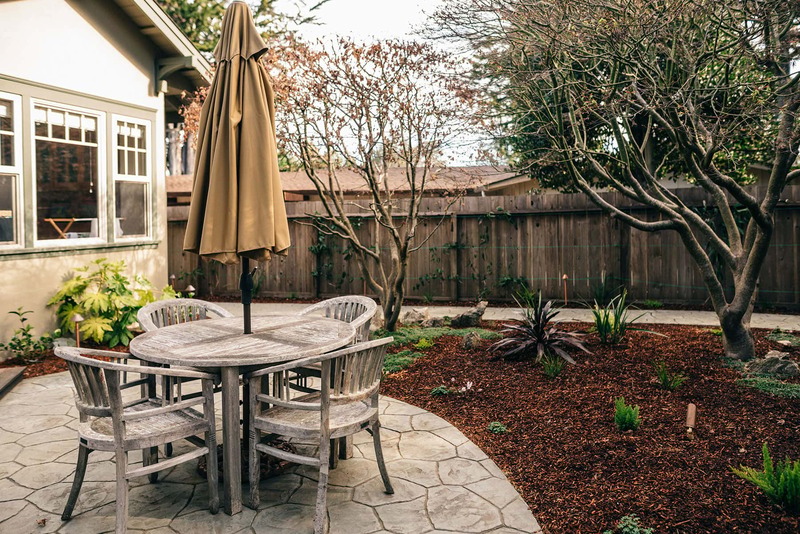 This family was in need of a new outdoor area where they could relax and enjoy the nature right outside their doors. 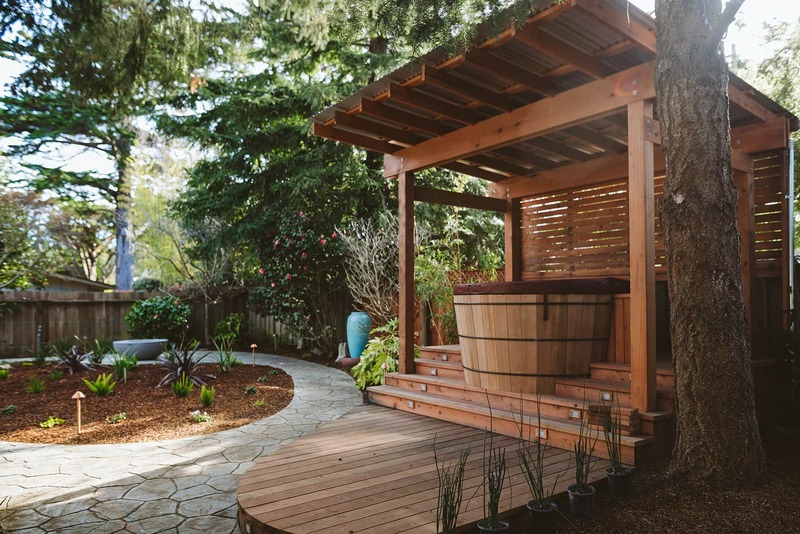 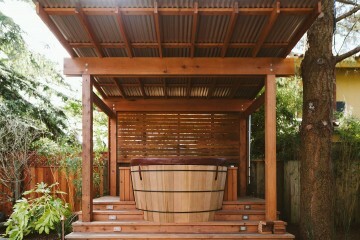 We included a gorgeous new deck for their hot tub, accompanied by a bench and arbor. 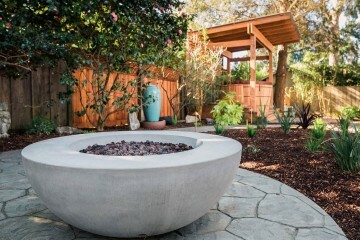 We installed low voltage lighting and fire pit to give a warm and inviting touch to this new space. Plants and irrigation finished off this relaxing garden courtyard!